INDUSTRY.co.id - Ambon- Indonesia Music Conference held in Ambon city 7-9 March 2018 discussed the progress of music as Indonesia's economic strength in the future. 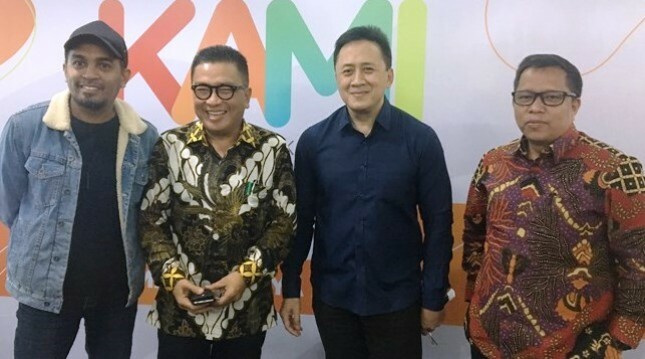 Head of the Creative Economy Agency (Bekraf) Triawan Munaf in Ambon, Wednesday (7/3/2018) said the Indonesian Music Conference was first held to discuss various problems faced by musicians in Indonesia. "The first day of the implementation of our music conferences discussed various matters related to the progress of music as an economic power," he said. Finance Minister Sri Mulyani Indarwati was the speaker at the first session of the Indonesian music conference on the topics discussed: the musical contribution statistics on GDP and the potential contribution of music to GDP. Bekraf also explained a number of policies that have been and will be done in advancing Indonesian music as a future economic power. "Music is the priority sub-sector of 15 other sub-sectors that Bekraf handles music, movies, animation and video. The three sub-sectors should get the attention together, so that it will become the leading sector," he said. He explained, the music conference also presents Member of the House of Representatives Commission X Anang Hermansyah who describes the related law of advancement of culture as a driver of music toward the future economic power. It also discussed the role of intellectual property management in the development of music presented Ari Juliano Gema Director of HAKI Bekraf Indonesia, as well as musicians Faris RM related views of musicians to the role of the state against music. While in the second session of the first day discussed about music governance diera digital by presenting speakers Semuel Abrijani Application as Director General of Information Applications Ministry of Communications and Informatics, Hari Santosa Sungkari Bekraf infrastructure deputy, Chandra Darusman World Intellectual Property Organization, Irvan Aulia Massive music and David Karto as a label or distributor. All the talks in Indonesian music conferences are followed by hundreds of musicians, music industry players and government solely to realize the welfare of the musicians in the future.